Creating a new website is an exciting time. It can also be the most stressful project you work on this year (in a good way, of course). To launch a new website, there are a lot of moving parts, emotions, opinions, conference calls, mini freak-outs, design changes, holding hands, back-patting, screen shares, and panic attacks. 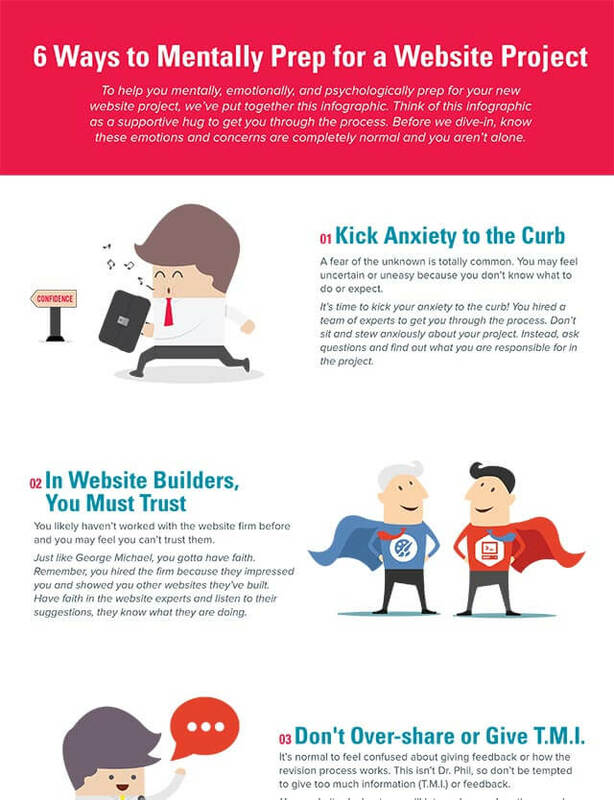 To help you mentally, emotionally, and psychologically prep for your new website project, we’ve put together this infographic. Think of this infographic as a supportive hug to get you through the process. Before we dive in, know these emotions and concerns are completely normal and you aren’t alone.